From the first day it arrived at Radwell International, our x-ray unit has been an incredibly useful and valuable tool to help our technicians help our customers. 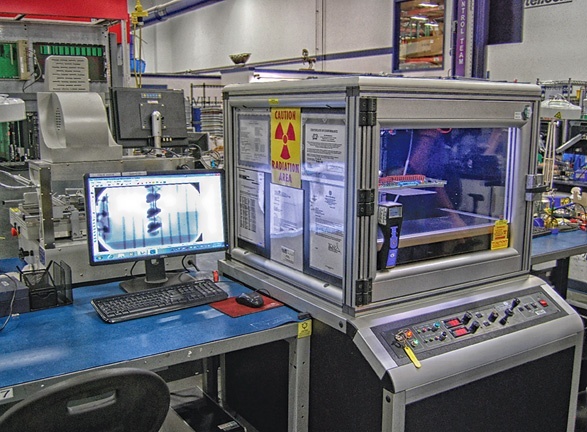 By utilizing the x-ray machine, our customers benefit from an additional level of testing, evaluation and inspection that wasn’t possible prior to the machine’s arrival. Just as with medical x-rays that people receive to look at broken bones, our x-ray unit is used to see within the bodies and cases of equipment and parts. 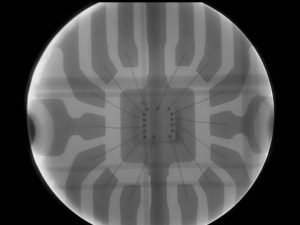 We utilize the x-ray machine to look inside objects that would normally defy inspection, such as the inner traces of printed circuit boards (PCBs), internal connections of individual electronic components, and integrated circuits (ICs). We also use the x-ray machine to help identify unknown components that may be “house marked” with a proprietary part number or that bear no identification at all. 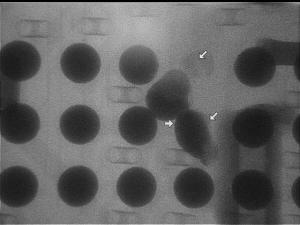 Assisting in the replacement of special ICs known as BGA (Ball Grid Array) is another task that the X-Ray machine is used for. Used routinely as a means to identify traces within a circuit board, the x-ray machine helps identify the connections between the components that make up the circuits.This is important because when boards that are old, obsolete or unique get damaged, there is very often no way to replace them. They must be repaired and being able to see and follow the traces within the circuit board allows repair technicians to identify damaged areas. It also helps repair technicians see where alternate connections can be made to complete the circuit during the repair process. Sometimes, performing “engineering” modifications is the only way to keep damaged equipment operating. This is an incredible asset to our customers who are using older equipment. If an application or machine couldn’t be repaired, it would have to be replaced. This can be incredibly costly and might even pose a hardship for the company in question. Being able to utilize x-ray technology to help assist in accomplishing these types of repairs is invaluable to our customers. The x-ray unit is also used to identify and evaluate parts and components. Many components found within units and attached to printed circuit boards are not identifiable for various reasons. Perhaps the part is a special proprietary part made by the company and not published. 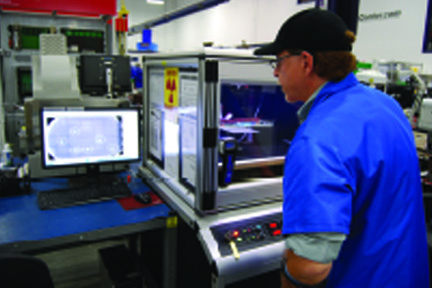 In some cases, a manufacturer might use a common generic part that they don’t want known. In other instances, it might be that the part number labeling has deteriorated and can no longer be read. By utilizing the X-Ray machine on these unidentified parts, we can see the inner workings and see if connections have been broken or if the component’s internal layout matches that of other similar components. In some cases, we can determine the function of a component merely by identifying the internal components. This helps us to formulate different means of testing these components and the units they are installed into. X-ray imaging results also help to indicate tests that would be effective and which tests should not be used in order to avoid damaging the unit during the repair process. When repairing PCBs with special ICs known as “Ball Grid Array” ICs, the x-ray machine is necessary for inspection of the completed work. 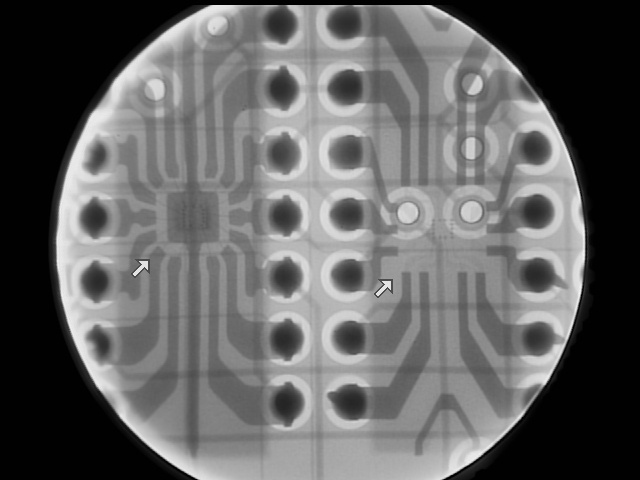 BGA ICs utilize small balls of solder attached to the very bottom of the IC itself. Because the construction of these parts puts all the connections underneath the component, a human cannot solder or de-solder these connections. For this reason a special machine is needed to remove and install BGA ICs.When a BGA IC is finished being installed, the PCB is placed into the X-Ray machine and each individual component connection is inspected to ensure that the connection is aligned properly and that none of the connections have flowed together or have failed to connect properly. We have the capability to provide our industrial automation clients with a high level of service. 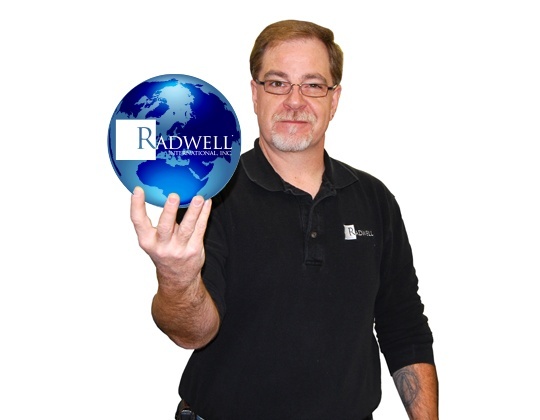 Utilizing x-ray technology is yet another valuable tool in our extensive tool box of solutions for our clients at Radwell International.